The purpose of Fairport Harbor Heritage Foundation is to be active in the physical, social and economic revitalization of Fairport Harbor with an emphasis on increasing the visibility of the village through tourism, culture, and economic improvement along with business enhancement. This organization, founded by Pamela Morse, Tim Manross and Kathleen Homyock, supports the community with annual programs and activities that enhance the village and help preserve its heritage. By focusing on increasing the visibility of Fairport Harbor through tourism, culture, economic improvement and business enhancement, Fairport Harbor Heritage Foundation is bringing the village back to life as a thriving beach-front community on the beautiful shores of Lake Erie. The concert series, which launched three years ago with the help of Cassandra Conrad, is experiencing rousing success. The Foundation has also sought grants for economic development by partnering with the Cleveland Foundation and has been awarded community grants for beautification, rain barrels and community gardens from the Western Reserve Junior Service League, The Lubrizol Foundation and Painesville Community Improvement Corporation. 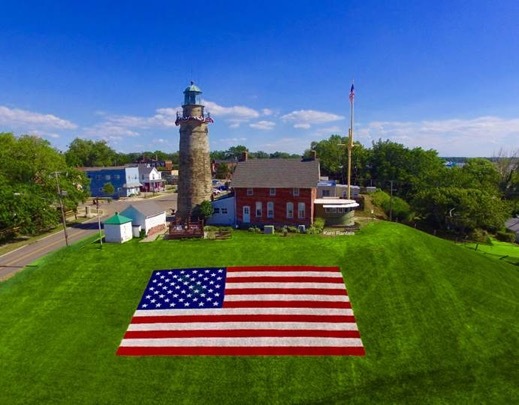 Click here to make a donation in support of Fairport Harbor Heritage Foundation. Click here for more information on volunteering in one of our community improvement programs.